Brands are built on trust, but in a post-truth world, they have a serious problem when so much of modern life is now defined by mistrust. A weakening of the vital trust connection between brands and consumers is causing enormous problems for businesses. The ramifications for brands in sectors of all description are deeply serious, when ‘reputation capital’ is of such immense importance, where the difference between Brand A and Brand B (and indeed Brand C, D, and E) so often comes down to our belief in those core questions of ‘are they honest, competent and reliable?’ Because if a brand isn’t trustworthy, it’ll be rejected in favour of one that is. And the actions that these brands take to demonstrate their credibility must clearly illustrate a blend of corporate ethics and brand authenticity. But a problem that’s becoming ever more visible is that some organisations have made authenticity their marketing strategy, rather than a business one. As a result, they come across as manufactured i.e. the very opposite of authentic. Because just running an advertising campaign stating that a brand is trustworthy isn’t good enough. This isn’t a marketing issue, this is a business-wide issue, involving every facet of the organisation. Companies have to be consistent in their behaviour, from top to bottom, and right along the supply chain, from the ‘first hand of production to the final hand of the consumer’. And this genuinely has to go all the way. Therefore, it includes issues such as the ethical sourcing of ingredients, to environmentally sound production methodologies, to paying a decent living wage to production line workers, to adhering to animal-welfare, to pricing in a transparent manner, to communicating totally honest claims, etc. Make no mistake, organisations and brands that want to earn and keep our trust have to ‘live it like they say it’. Because business has to be about more than just profit. People, Planet, and to quote a much-derided word ‘Purpose’ have to be in there too. This approach very much links to social innovation and indeed conspicuous altruism. ‘Social Purpose’ is a phrase used obsessively by modern, forward-thinking leaders, and links directly to joint value creation where both shareholders and society benefit from business. And the ‘actual’ difference between ethical brands with a moral code and those exposed as being without one, is increasingly a key factor in consumer brand adoption or rejection. To illustrate that this thinking goes right to the top of hard-headed business thinking, in their ‘Reflections from Davos’ report regarding the 2018 meeting of the World Economic Forum, the managing partner of McKinsey was quoted as saying “the next innovation imperative will be social innovation – business’s role will be critical here.” The report went on to note “society is demanding that companies, both public and private, serve a social purpose”. This is set against research from those such as Deloitte who show how millennials are fast losing faith in business; and against a backdrop where people are scrambling to find solid ground in an era when we’re told that the very notion of truth is subjective, and indeed much of public discourse has become increasingly anti-fact and anti-expert. Fortunately there are numerous shining examples of organisations that are showing us all ‘how to do it better’ ranging across the business spectrum, in sectors ranging from beauty to finance, and from fashion to beverages. With good leadership at the core of these businesses, every member of the organisation are enabled to understand and demonstrate ‘why they do it, what they do and how they do it’. The end result, from a customer point of view, is that these brands are then seen by the consumer as being on their side, standing with them and matching their own values in an inspirational manner. Because in a post-truth era, we want, and need, to believe in something. And increasingly, brands that really do ‘live it like they say it’ are some of the few things on which we can actually believe and rely. However, I firmly believe that whilst ‘reputation capital’ is an absolutely vital foundation of successful and enduring brands, this purely tells us about their past actions. The future is where brands must focus. And this means leaders of companies taking deliberate and definitive action to ensure that their businesses demonstrate ‘corporate social leadership’. Along with making reputable products, providing employment and returning dividends to shareholders; corporations can and should endeavour to make the world a better place, contributing to and engaging with society. This will also enable the truism that ‘good business is good business’. 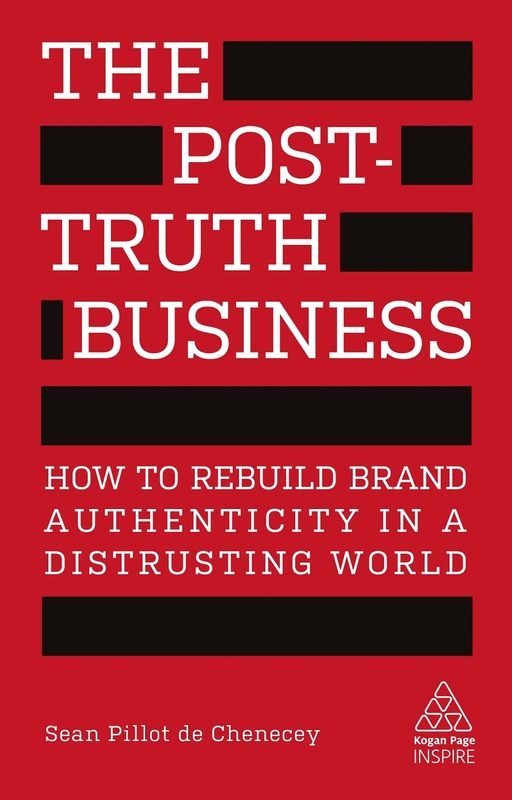 To act as a reference guide for the leaders of ‘good businesses’ in my book I’ve collated the key learnings into a ‘Post-Truth Brand Manifesto’. Authenticity has been one of the core tenets of successful businesses since the idea of branding first began. But truly authentic companies that want to earn and keep our trust have to ‘live it like they say it’. Thus the organisation dovetails their brand intentions with the consumer and employee reality. For brands to thrive, business leaders need to find a way to regain and retain the confidence of employees. This starts with transparency. This is a business-wide issue, involving every facet of the organisation. It’s hard to overstate the seriousness of this subject, and the levels of antipathy engendered towards businesses that are seen to be profiting from ‘surveillance capitalism’. More and more people want to find ‘meaning and purpose’ in their working lives, and who are attracted to culturally aware, ‘good neighbour’ companies that reflect their viewpoints as ‘social citizens’. It’s no coincidence when companies which are trusted most tend to be legacy brands which have clearly demonstrated their ‘good business’ and/or ‘reliable product’ credentials, or indeed are those with transparency built-in to the core of their business model. 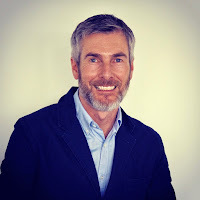 Sean Pillot de Chenecey, author of The Post-Truth Business: How to Rebuild Brand Authenticity in a Distrusting World, has over 20 years’ experience as a brand expert, combining marketing consultancy with ethnographic activity and trend research around the world. His clients have included Unilever, Swatch, Heineken, Diageo, General Motors, Beiersdorf, AXA, Costa, Vodafone, Kerrygold and Starwood. He's collaborated with numerous international advertising, branding, design, media and PR agencies. He is a lecturer at the University of the Arts London, and has written for Dazed, Admap, Brand Strategy, Marketing and Contagious. A public speaker, he's given speeches for over a decade in Asia, Europe, Africa, the Middle East and North America. For more information, please visit www.koganpage.com/post-truth-business.